Does anyone know what ICD-9-CM code you use for G0438/G0439? V70.0 does not seem correct since this is not an exam (other than the vitals). Bill is correct. The preventive E&M services CPT codes 99381-99397, continue to be non-covered by Medicare. G0438/G0439 are not only covered, but G0439 is covered annually, and both your coinsurance and deductible are waived. The response you forwarded from the AAPC website disturbs me because the overall message it is conveying is misleading. Please see below for a response I sent to another inquirer on the same subject excerpted from the final Physician Fee Schedule. Hope this helps. I am attaching excerpts from the comment and response section of the final 2011 Physician Fee Schedule that speak to your question. While it can be interpreted that CMS did not specifically cite the words â€œphysical examâ€� in its AWV definitions, and therefore did not intend for one to be included, I am highlighting the last response I also included in the attachment that I believe refutes that belief. The AWV was created to be a continuance of the IPPE, whether termed â€˜physical exam' or â€˜wellness exam'. A â€˜physical exam' can certainly be included as part of the AWV, but we specified the preventive services criteria that are â€˜required' since this benefit is provided as an exception to the preventive services that Medicare has historically non-covered. We anticipate the AWV will be all-inclusive under routine circumstances. However, we also acknowledge that there may be situations where the beneficiary, because of a chronic and/or acute medical condition, requires further in depth services, thereby causing the practitioner to also bill for a separate E&M visit strictly for that purpose. Please see below and attached, and I hope this responds to your confusion in this regard. This is the message I sent to Medicare from AAPC website, that is why they responded about "the message from AAPC is disturbing"
I am sorry to bother all of you, but we are (as a large group of FQHC's in Michigan) are confused. Are we still allowed to use 99397 or 99387? Does the G0438 or G0439 take the place of those codes? I am reading on the AAPC website and this is a response from that site. I just am trying to be clear on this for our organization. I am sorry to bother all of you , we just need clarification. Coders, I urge you to make sure you carefully read the MLN Matters MM7079 and the related CR Transmittal R134BP and R2109CP. I see a lot of you using the words "Annual Physical", or "Preventive Physical". The Annual Wellness Visit is not a head-to-toe physical exam. This is a risk assesment to help physicians put together a patient-specific plan for preventive care. Physicians need to know exactly what criteria are expected for this high-RVU visit. It's up to us, as certified coders to make sure our physicians have the tools and information they need so that they can complete this visit with the appropriate documentation. Believe me, Medicare is going to be auditing this. The press has erroneously reported that Medicare is now paying for preventive physicals or preventive exams, and our Medicare population is going to be calling your offices, asking for their 'free physical'. Based on the criteria for this covered service, the only objective portion of this encounter is the gathering of vitals. Let's not compound the problem by using the wrong language when describing these services. It will be up to us to educate the patients and our providers that this is not a physical exam, as would be reported by codes in the 99381-99397 range. You are absolutely correct Pam! These new "services" are not physicals in any way shape or form. The only "hands on" required are vitals. Does anyone know the crosswalk reimburements for G0438 and G0439 specifically the RVU, wRVU split? I was wondering the same thing and found one carrier (so far) that does address this. Question:Is there a specific diagnosis code required when billing for the AWV either initial or subsequent? Answer:Medicare does not have a specific required diagnosis code. Providers would use a preventive diagnosis code. The initial AWV, G0438, is performed on patients that have been enrolled with Medicare for more than one year. Do not bill G0439, AVW Subsequent, in 2011. It will deny. Why? Since the first initial AWV, G0438, for any Medicare patient could only be billed starting on January 1, 2011 that means the first time any Medicare patient could be billed for the subsequent AWV, G0439, would be January 1, 2012. 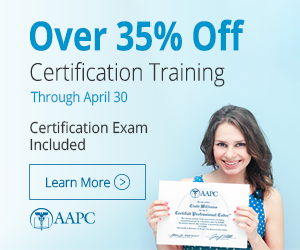 There is a series of 3 courses that are approved for AAPC CEU's that is on the CMS website as a web based course - Part 2 is the one that covers the annual wellness exam. One of the resources is the Medicare Preventive Services Quick Reference Guide that gives you the service, the HCPCS/CPT codes, the ICD-9 requirements, who is covered, the frequency covered, and what the beneficiary liability is. I did it primarily for the CEU's but it was very informative. You can register for the course & print the handout without having to complete the course at that time, but if you are in a practice setting where you perform this service, this would be a great reference for you.